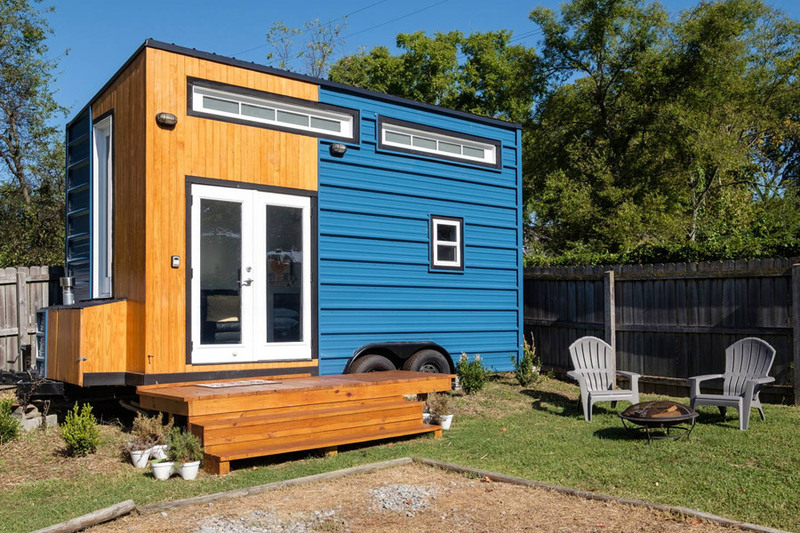 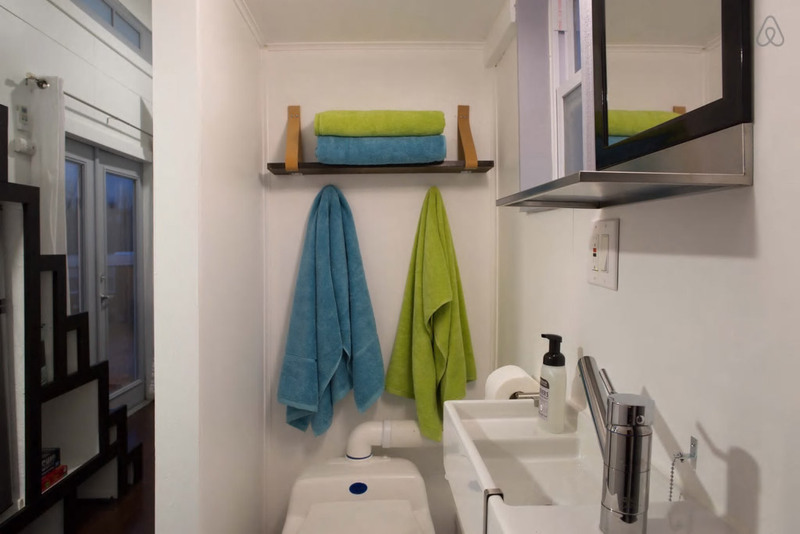 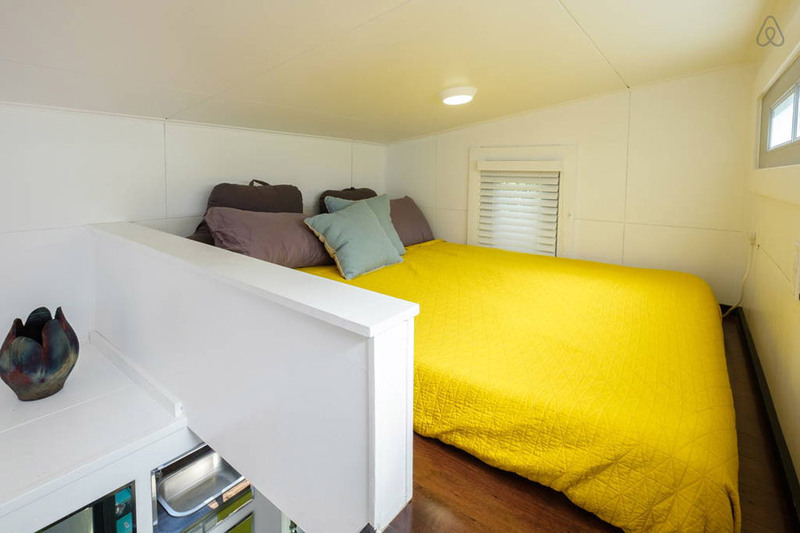 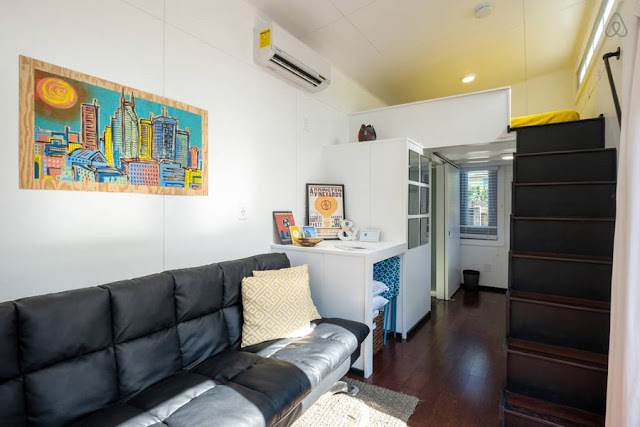 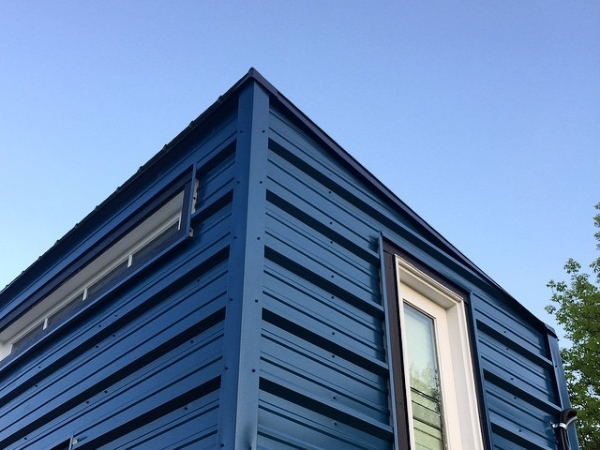 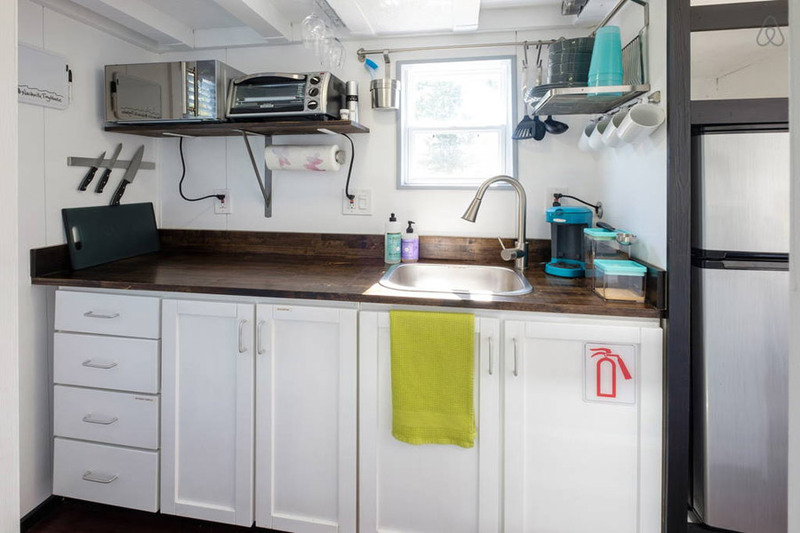 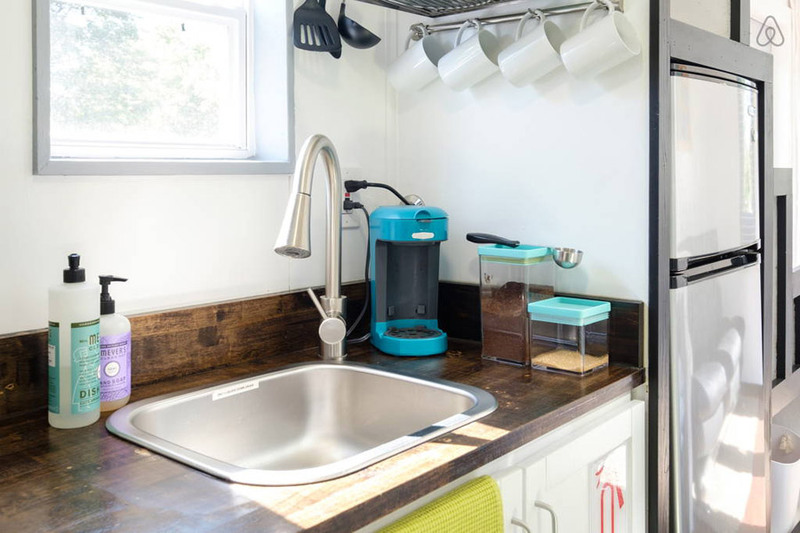 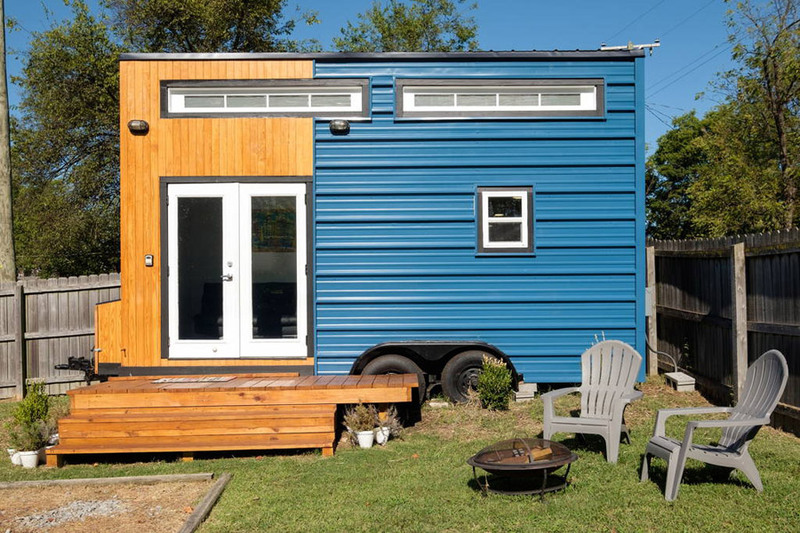 This tiny house, made by Nashville Tiny House, measures just 185 square feet. 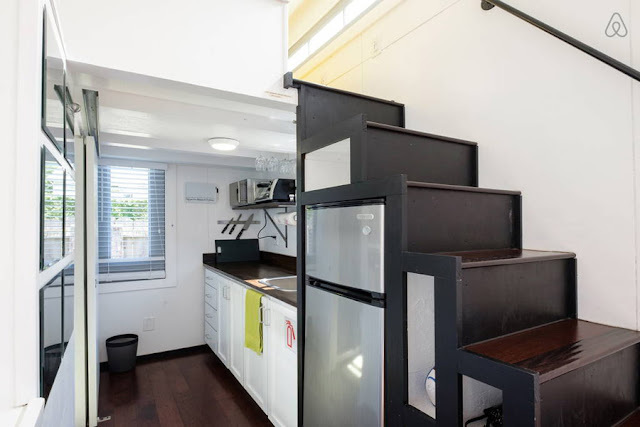 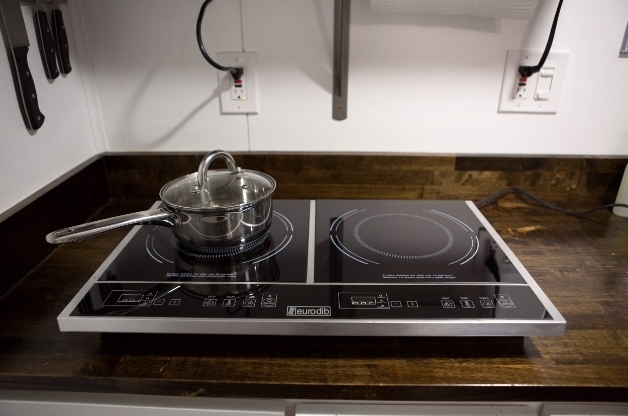 The home can comfortably fit three people and comes with a full kitchen, full bathroom, a living/dining area, stairs that double as storage, and a spacious loft bedroom. The home is sustainably made and made from recycled wood on a restored trailer. 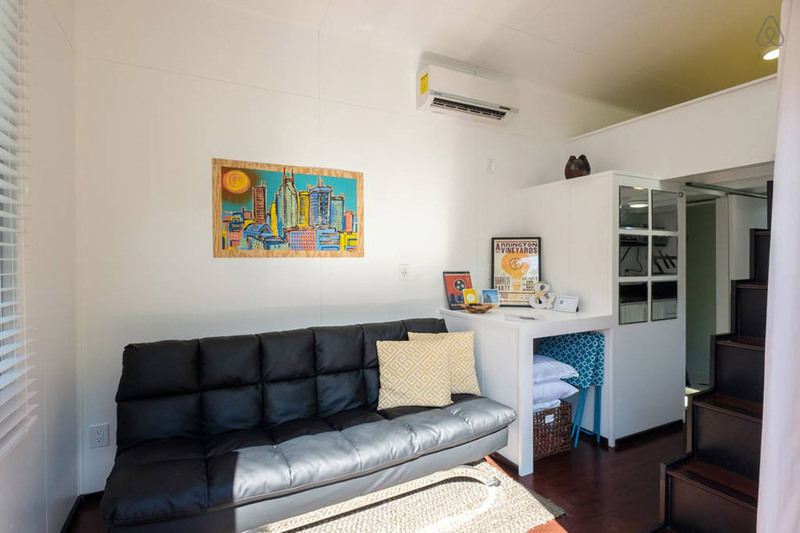 It can also be rented on Airbnb. 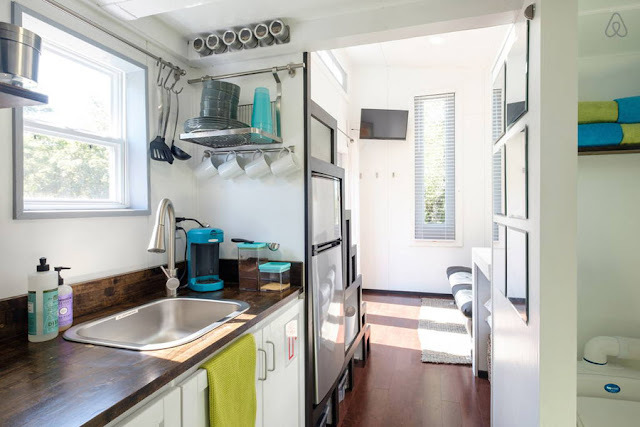 Be sure to check out the video tour of the home below! Nashville Tiny House from Cross & Crown on Vimeo.